As Democrats took back control of the House of Representatives on Thursday, women celebrated another victory in the United States Capitol. A historic number of female senators and representatives, 127 in total, were sworn in to the 116th Congress. This is the most diverse class ever, as well as one of the youngest. The majority of women—106 to 21—are Democrats. 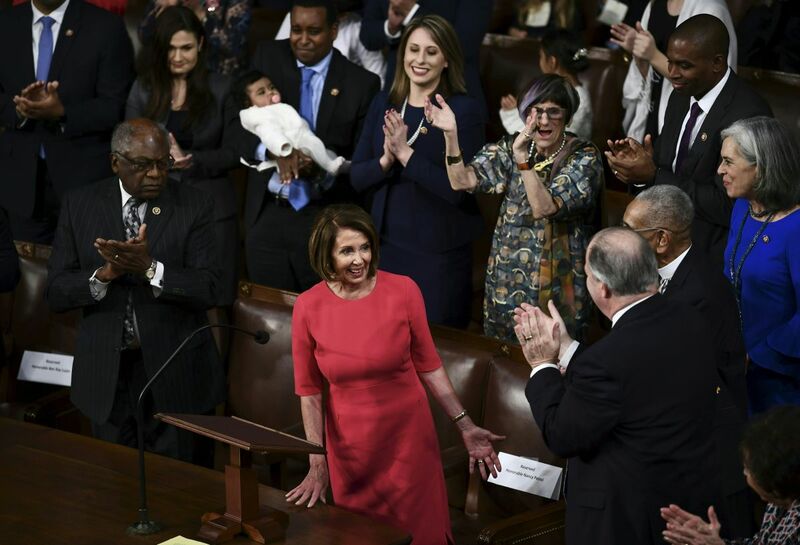 Also on Thursday, Nancy Pelosi was elected speaker of the House, becoming the first to return to the role in a non-consecutive session since 1955. 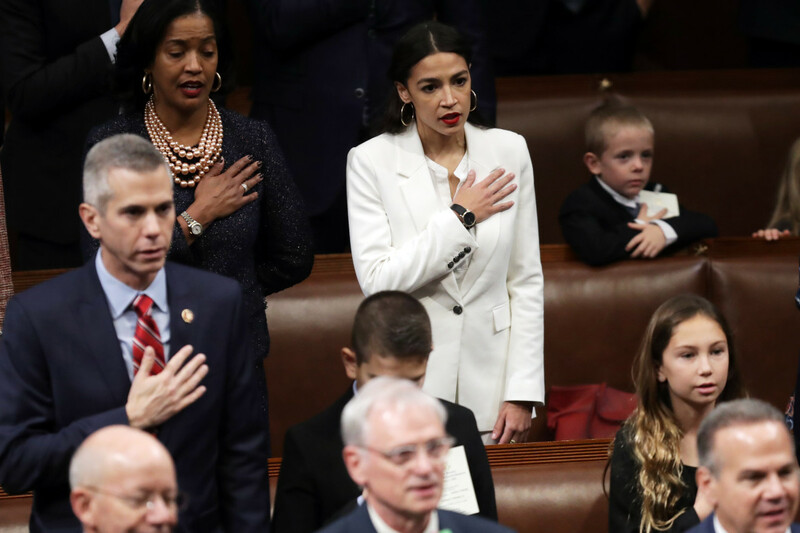 Holding the gavel, she told the members of Congress and their families gathered before her that voters had "demanded a new dawn," the Washington Post reports. 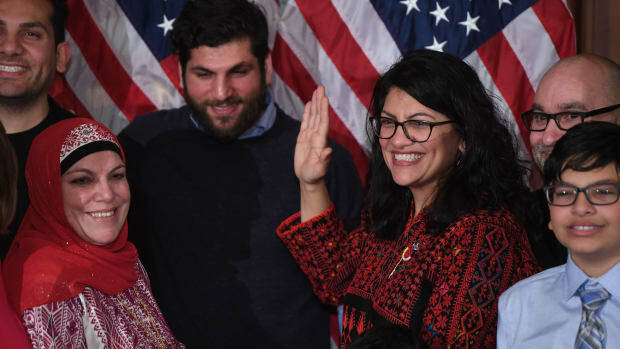 Many of the women sworn in have broken records, including Ilhan Omar (D-Minnesota) and Rashida Tlaib (D-Michigan), the first Muslim women elected to Congress; Deb Haaland (D-New Mexico) and Sharice Davids (D-Kansas), the first Native American women elected to Congress; Alexandria Ocasio-Cortez (D-New York), the youngest woman ever elected to Congress; and a host of members of Congress who made history in their home states, such as Ayanna Pressley, the first black woman elected to Congress in Massachusetts. Pelosi has also had her share of historic moments: among them, becoming the first-ever female speaker in 2007, and, more recently, making an iconic, red coat-clad exit from a standoff with President Donald Trump over the shutdown. As Pacific Standard has reported, Americans have steadily grown more supportive of female candidates since the 1970s. But real progress takes time. With Hillary Clinton&apos;s loss in 2016, the nation ranked 103rd in the world in terms of women&apos;s representation in political leadership. 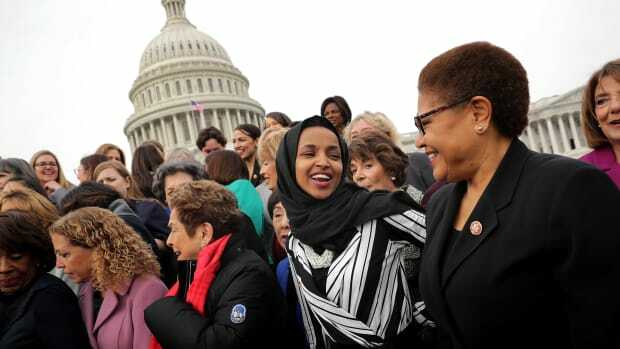 Now, the percentage of women in Congress has risen from 20 percent to 23.6 percent, according to Rutgers University&apos;s Center for American Women and Politics. Breaking the previous record of 85, 102 women will now serve in the House, including 43 women of color. In the Senate, the number of women serving has increased from 23 to 24. In scenes from the historic ceremony, the new class provided a joyful and unified front. 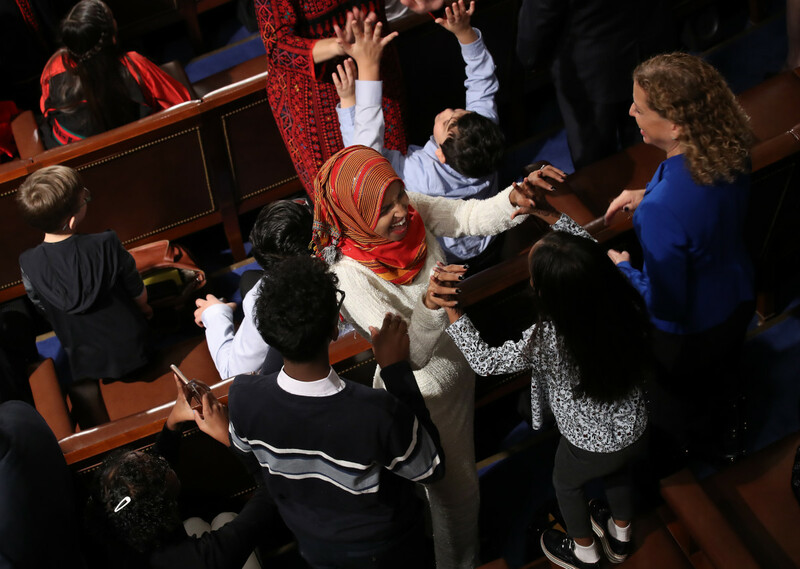 Tlaib embraced her children, Ocasio-Cortez celebrated with her new colleagues, and Pelosi walked down the aisle with her arms outstretched, grasping hands on both sides. 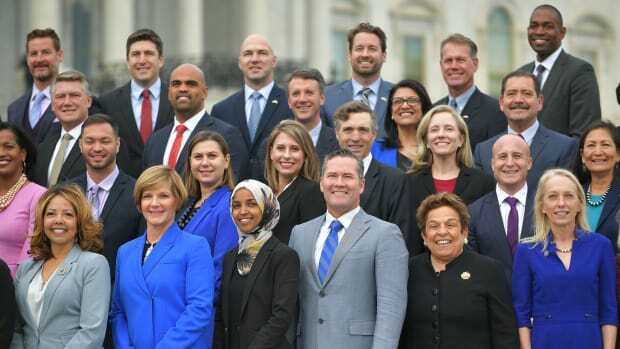 Members of the newly Democratic House are already debating their new agenda, with some divisions between the old and new guard. But first, they&apos;ll attempt to resolve the government shutdown. 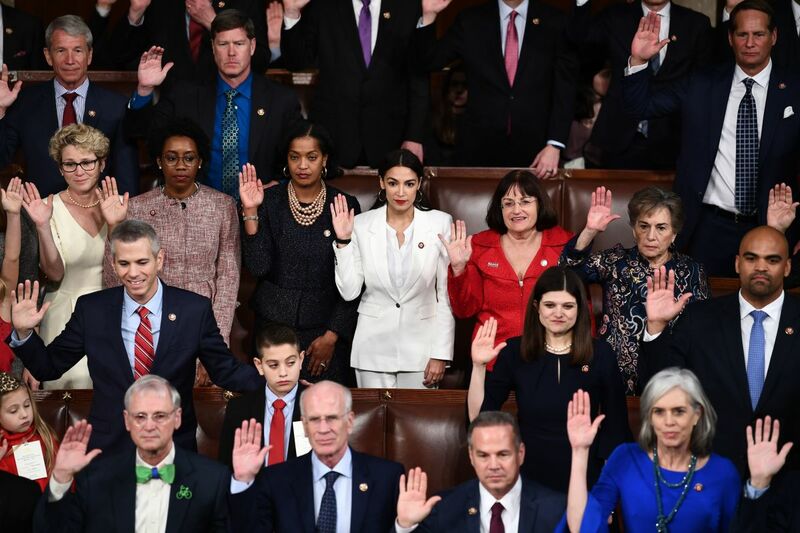 Members of Congress take the oath during the opening session of the 116th Congress at the U.S. Capitol in Washington, D.C., on January 3rd, 2019. Nancy Pelosi reacts as she is confirmed as speaker of the House during the 116th Congress and swearing-in ceremony on the floor of the U.S. House of Representatives on January 3rd, 2019 in Washington, D.C.
Representative Alexandria Ocasio-Cortez (D-New York) takes the oath during the first session of the 116th Congress at the U.S. Capitol on January 3rd, 2019, in Washington, D.C. 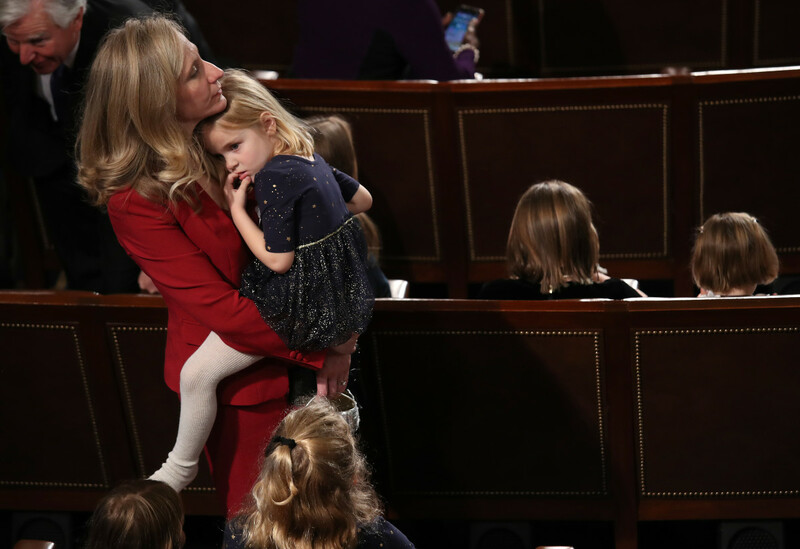 Newly elected Representative Ilhan Omar (D-Minnesota) celebrates with her children after taking the oath of office during the first session of the 116th Congress at the U.S. Capitol January 3rd, 2019, in Washington, D.C.
Representative Abigail Spanberger (D-Virginia) holds her daughter Catherine before being sworn in as a new member of the House on January 3rd, 2019. 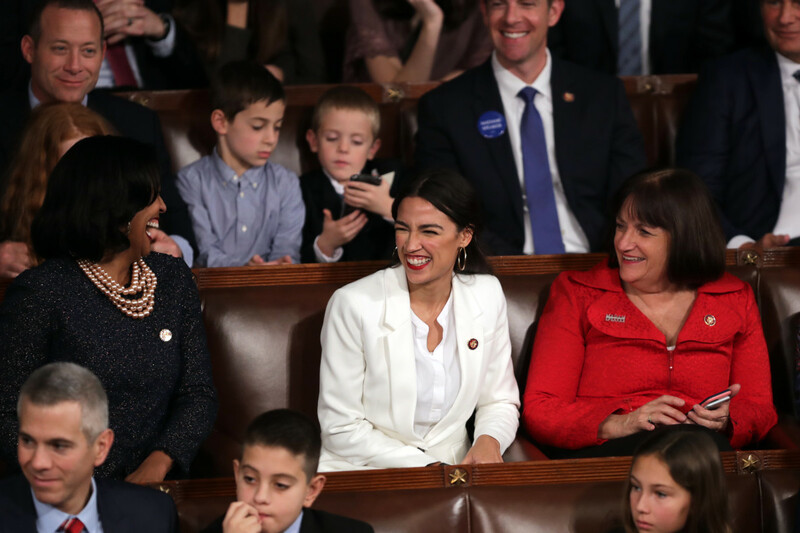 Representative Alexandria Ocasio-Cortez (D-New York) celebrates along with other members of Congress during the first session of the 116th Congress on January 3rd, 2019. 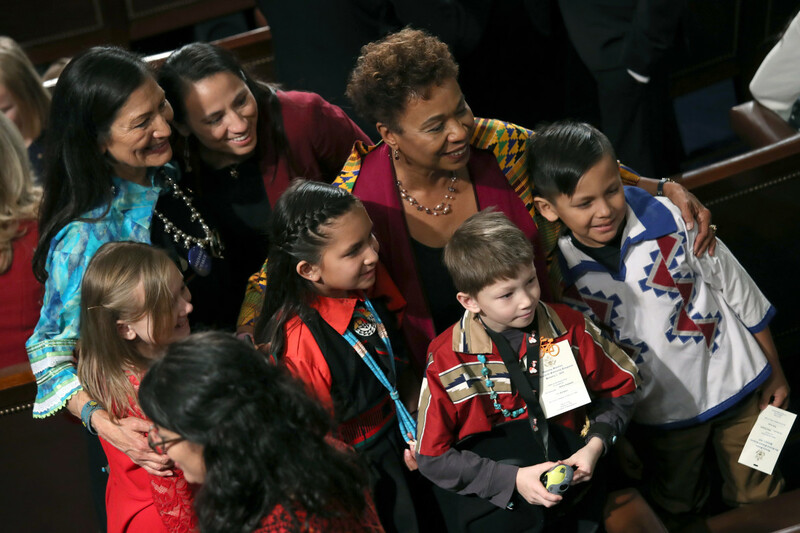 Children pose with Representative Deb Haaland (D-New Mexico), Representative Sharice Davids (D-Kansas), and Representative Barbara Lee (D-California) during the first session of the 116th Congress at the U.S. Capitol on January 3rd, 2019. Can Pelosi Stop Trump From Entering Congress? 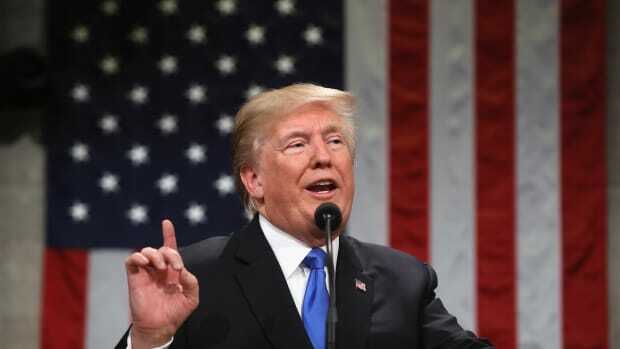 The Speaker of the House has withdrawn her invitation for the president to give the State of the Union address later this month. What if he tries to give one anyway? 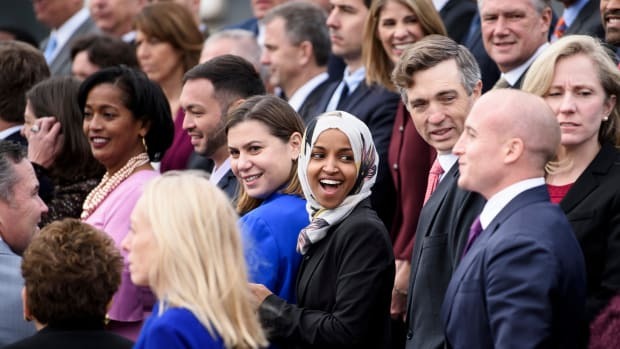 This year, members of the most diverse Congress ever opted for over a dozen different religious and non-religious texts in their swearing-in ceremonies.